Extends and locks rung-by-rung allowing use at multiple heights. Innovative air dampened function ensures user safety while ladder is lowered. 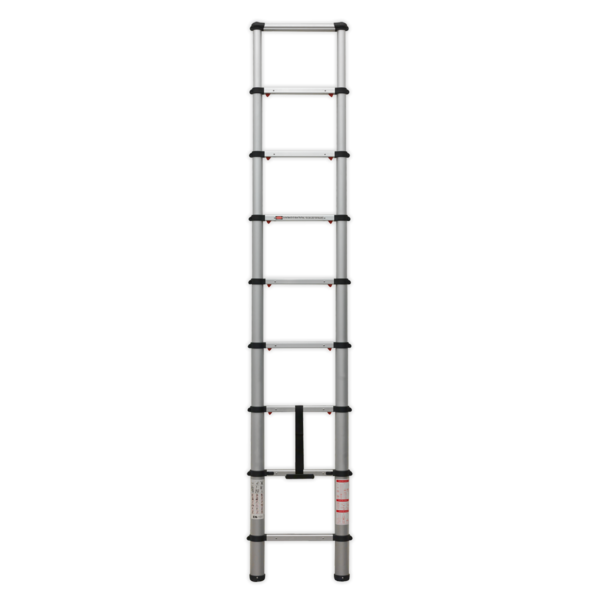 Closed height of 720mm for easy storage and transportation make this ideal for surveyors, tradesmen and domestic use. 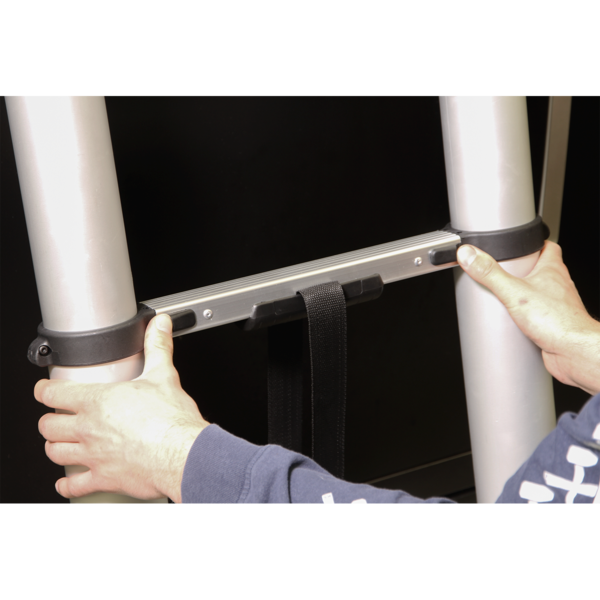 Lightweight, corrosion resistant aluminium frame. Rubber feet offer increased stability while in use. 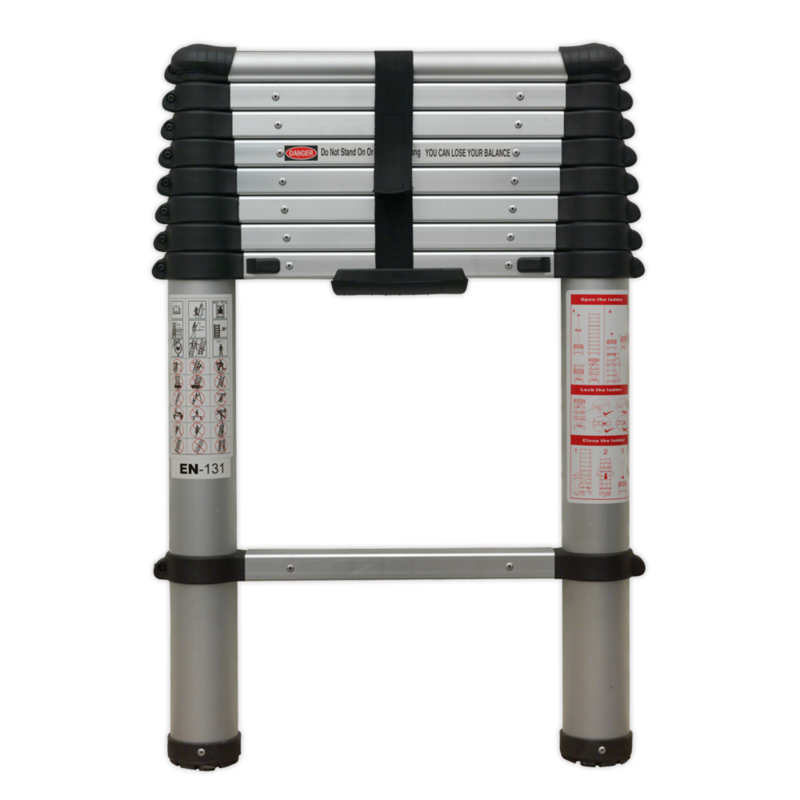 Manufactured to EN 131 with 150kg capacity.